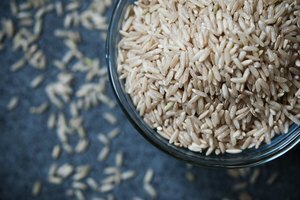 Bomba rice is a short-grain Spanish rice that is ideally suited for paella recipes, because it absorbs approximately three times its basic volume in liquid. 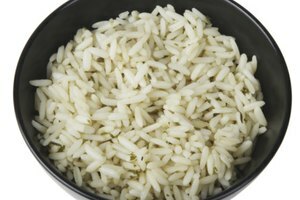 This means that the Bomba rice grains stay separate when cooked and will not become sticky. Interestingly, Bomba rice expands widthwise instead of the standard lengthwise expansion of most kinds of rice. Due to the difficulty in growing and harvesting Bomba rice, it is comparatively expensive. This recipe makes 4 large servings or 6 small servings. Heat the olive oil in the frying pan over high heat. Add the scallions to the hot oil. 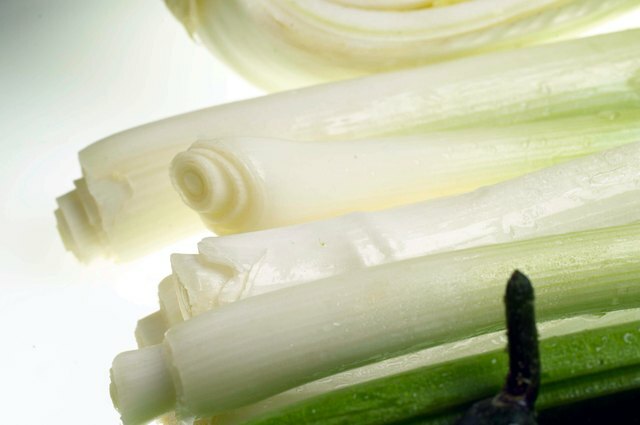 Stir and cook the scallions for 1 minute. Add the rice to the frying pan and stir the ingredients for approximately 3 minutes. Add 3 1/2 cups of broth to the frying pan. Add the salt and pepper as desired. Reduce the heat to medium-high and cook the ingredients uncovered for approximately five minutes. Stir the ingredients occasionally. Add the remaining broth to the frying pan and continue cooking the ingredients on medium-high heat. 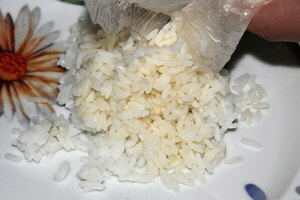 Do not stir until the liquid absorbs to just under the level of the rice. This should take approximately 8 minutes. Stir once and add the uncooked poultry or seafood ingredients, if you desire. 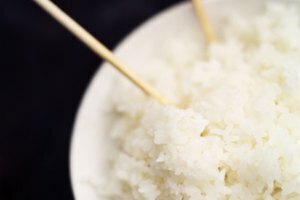 Place these ingredients over the top of the rice in the frying pan. Cover the pan and continue cooking the rice and the added ingredients until the rice is sizzling and the meat is finished cooking. The rice will become a crust under the other ingredients. Serve immediately.